Rate of interest 8.6% Per Annum(w.e.f 1-4-2016),calculated on yearly basis ,Yearly compounded. o A legal Guardian/Natural Guardian can open account in the name of Girl Child. o A guardian can open only one account in the name of one girl child and maximum two accounts in the name of two different Girl children. o Account can be opened up to age of 10 years only from the date of birth. For initial operations of Scheme, one year grace has been given. With the grace, Girl child who is born between 2.12.2003 &1.12.2004 can open account up to1.12.2015. 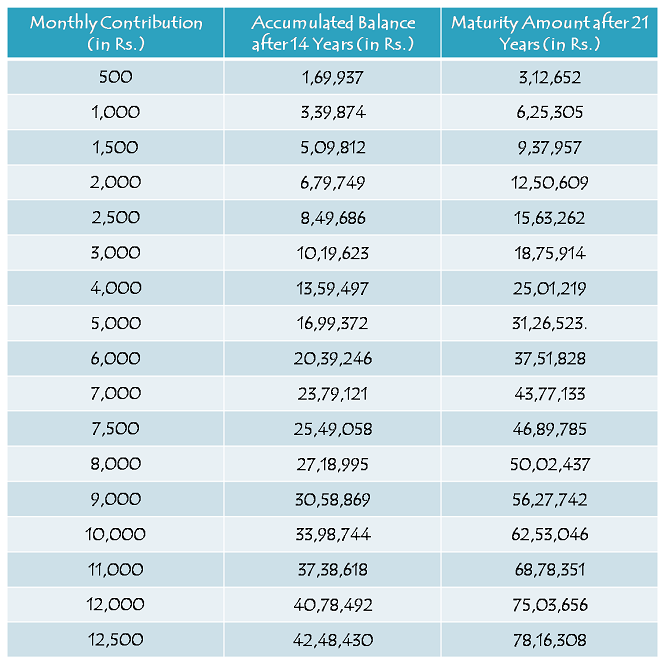 o If minimum Rs 1,000- is not deposited in a financial year, account will become discontinued and can be revived with a penalty of Rs. 50 per year with minimum amount required for deposit for that year. 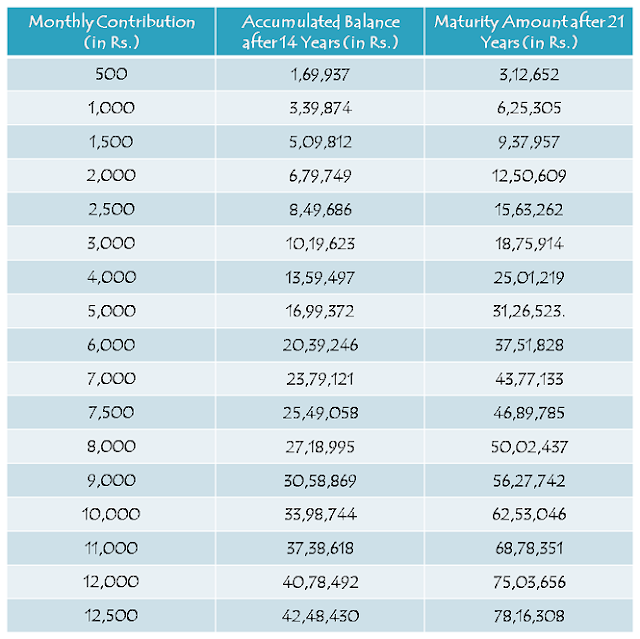 o Partial withdrawal, maximum up to 50% of balance standing at the end of the preceding financial year can be taken after Account holder’s attaining age of 18 years. o Account can be closed after completion of 21 years. o Normal Premature closure will be allowed after completion of 18 years​/provided that girl is married.